The World Martial Arts College is pleased to announce the promotion and appointment to the Board of the World Martial Arts College the Founder of Tae Kwon Do Boxing and 10th Dan Grand Master Angel De Jesus of Angel’s Karate Tae Kwon Do Midland Michigan. 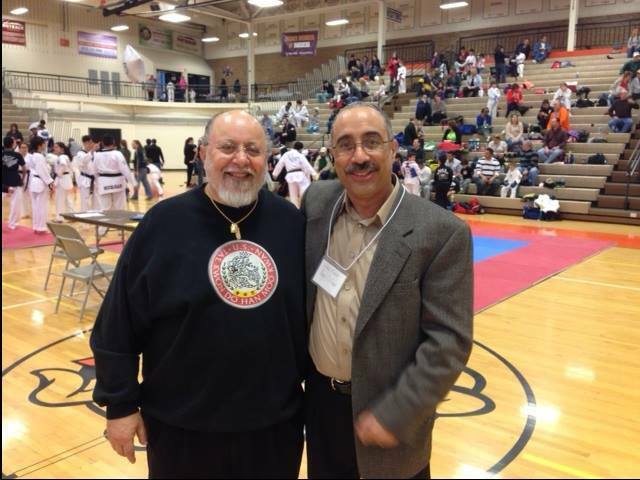 a little about Angel: Angel is 10th Dan Black belt and founder of Tae Kwon Do Boxing and Grand Master DeJesus currently holds 7th Dan (received in 2008) from B.C. YU with TIA (Tae Kwon Do Institutes of America), and ranks 7th Dan with the WTF Kukkiwon (World Tae Kwon Do headquarters in Korea). He also holds a master rank with World Tae Kwon Do Chang Moo Kwan, with a working knowledge of Hapkido-Kuksoolwon, Modern Arnis, Judo, Jiu-Jitsu, and Tai-Chi Quang. 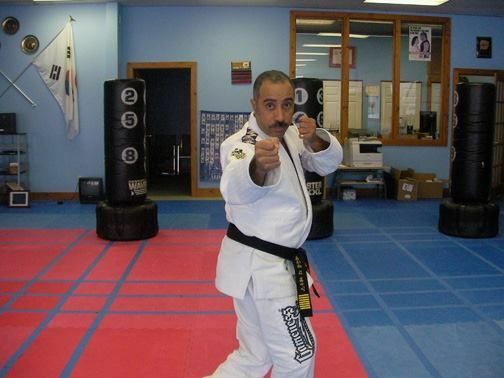 With deep roots in traditional Martial Arts, Master De Jesus has, for over 40 years, carefully implemented new ideas and technologies into his highly successful school in Midland, Michigan (www.angelskarate.com). Over the years, Master De Jesus has traveled extensively throughout the U.S. to attend and or conduct numerous seminars sponsored by EasyPay, NAPMA, and MAIA, as well as seminars offered by Jose Santamaria and Andrew Wood. By working closely with EasyPay he learned the techniques used for site analysis, lease negotiations, and how to design floor plans within Martial Arts facilities. His extensive training, coupled with his own personal experience, allowed him to perfect the business side of the Martial Arts. As a result, there are very few Martial Artists who have studied or understand the business side of Martial Arts more thoroughly than Master De Jesus. 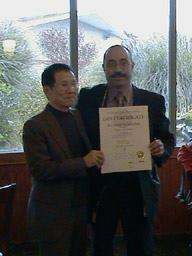 As a long-time student of Grandmaster B.C. YU, he continues the tradition of working together and learning from one another with B.C YU. Nothing demonstrates this more than his decision to include Modern Arnis and Brazilian Jiu-Jitsu into his Martial Arts curriculum. Several years ago in the early 1990 Grandmaster Yu introduced Master De Jesus to Grandmaster Remy Amador Presas (Professor), the father of Modern Arnis, who passed away in 2001 after a life-long commitment to the Martial Arts. It was Master De Jesus’ tireless energy and deep respect for others which led, in part, to Professor’s wish that Master Chuck Gauss (one of Professor’s six Master students) personally instruct Master De Jesus and a select number of his students in this wonderful art. “The benefits of mixing Arnis with the foundation that I have in Tae Kwon Do has yielded tremendous results for my students.”, says Master De Jesus. Master De Jesus adds that, “Introducing Brazilian Jiu-Jitsu to our students further strengthened our overall curriculum and provided a lasting relationship with some of the best Jiu-Jitsu practitioners in the world, the Machado Brothers. Their motto, ‘Leave your ego at the door,’ is something I respect and can identify with. A number of my senior students have had the privilege of training with all the Machado family and have benefited greatly because of it.” Master De Jesus is currently affiliated with Master Jean Jacques Machado. Master De Jesus brings to the Martial Arts community a level of exuberance and excitement that has been recognized by his peers, and greatly appreciated by his students. In addition to his life-long involvement in the Martial Arts, he is also a retired Chemical Process Control Analyst for Dow Corning Corporation. He holds a Doctorate in Theology from FGCC Bible College and Theological Seminary, and is the founder and Pastor of the Church of Midland (www.churchofmidland.com).